In the January mud, the playground has that winter quality of waiting. The light at the end of the day extends ever that little bit longer, before there’s a sudden tipping into darkness as the sun falls behind the tenement roofs. The playground seems to be waiting for its mudded roots to dry out. It lies, not growing, just breathing. Last week, one day late still in the morning, the hardest frost I’ve known there lay on the mud-woodchips. The sand in the sand-pit was solid in the shade of the thinned-out tree that was once the fully-leaved cover of a now-dormant den. The sand crunched under the weight of my extra boot pressure. The sun sliced up laboriously and sheered the frost on the bench into a very slow wave of thawing. I had a need for a few photographs just to nudge me again of this in future summerness. When one of the children asked me to help her with moving the tyres so she could make a castle (though in a queenly manner, she pointed and said ‘put that one in the wheelbarrow’), I saw the deep marks they left because they haven’t moved for months. ‘Here,’ I said, ‘you move some’. She made a feeble attempt at shifting one, then shook her head as if in actual fact regal. I imagine rings of small depressions where the playground lets out little long wheezes of air, just there where the tyres were, in appreciations no-one will really see. Darkness is a feature of the playground wintering. Even when it’s light, there’s the expectation of light’s absence. This isn’t to suggest a negative. When the light has shifted over the roofs, and the individual and collected tumblings of children, once clearly seen, seep into shadows of only possible people known somewhere out by the tyre swings, the playground offers up the secrecies of hiding in open space. The children are out there somewhere. The fire takes on deeper resonance when the light leaves too. The children have incinerated three Christmas trees, at the last count, and when they do this the flames reach up high, and this and the crackle and pop of the pine needles sends those children screaming and squealing. They come, also, from far-off hidden open spaces to gather and collect at the burning of the trees. When it’s good and done, some short time later, with the black bones of the branches stuck in the pit like fish scraped of flesh, the children reel off again to wherever they’d come from, dispersing, and re-entangling into new knots of groupings unseen. In the late morning, an act of developing satisfaction — as a word that best fits — is, strangely, that of the litter pick: especially so on a perfectly crisp, brittle-aired day. It’s easy to forget being in the middle, or along the spiral arm, of a city when on the quiet playground. The pick is not just a mindless pick. There is the dropping into something slow, sure, but this is an opening. There are all the hidden messages of the playground to be seen, in their great or minute details: things that have happened and that can be discerned and ‘listened’ to. I use this verb carefully and not totally in terms of the ‘conventionally heard’. The squeak of the spring of the litter picker seems to communicate with the playground: the birds, on occasion, seem to reply in the same tones. Grey squirrels hop along, watch me, hop along, climb. A cat might wander through and by. In the old pond casing, which is now ensconced in the wooden block boat, which itself is fading from a drain of colours, as if slowly washing away, I see a silvery radio or CD player, incarcerated beneath the ice layer of the water. I know who put this there, even though I’ve not seen that play. I know this is an experiment, poor thing like a baby mammoth in the perma-frost, but I leave it be because I know all this. It waits too, for its near-future demise at the hands of the boy who likes to smash such things into the oblivion of techno-afterlife! It’s almost as if he’s teasing it, left out here in the cold as it has been. The playground waits in other objects that have fallen, laying where they fell, whilst everything else moves on around it. The whiteboard that we propped against the fence has fallen, I saw, and the metal frame of the old bin shell that was a makeshift post to tie a rope around, early in November when we had the bonfire, lies exactly there on the concrete, still. I picked it up every so often, propped it up, like picking up a fallen old person from the ground. It ended up back where it was the next time I saw it. I’ve taken to leaving it. One child asked about it last week, in a general just-looking-out-that-way kind of way. We talked about the bonfire and the makeshift post and the rope. ‘Oh,’ she said. In between the fallen, I’ve taken to tracking objects that I know are moving, and some that I wonder whether they might. There are deliberate considerations of placing before the children come, mapping and logging like an archaeologist, the next day, seeing where I find things. I don’t know what I’ll draw from this: a curiosity borne of noticing how one thing in particular has been moving (though, sadly, this is one thing now missing presumed dead). I looked in every place, for every trace, but it was gone. Such is the irony of something that has moved around almost ceaselessly but now, when I tag it, it loses its momentum and falls from the place by way of being deposited in the bin. The playground waits amongst all of this. The January mud persists, and the expectation of darkness lingers. The frost or ice settles because the playground won’t move or shake it off, not like the summer bees around the rosemary bush, or the autumn breezes taking gold paper and other leaves to the very edges of the place, sticking them up against the fencing. The fire exerts its winter gravity on the children, and the playground’s objects lie or leave indentations or move almost silently. There is the possibility of seeing the wildlife attempting to listen in. There is more than meets the eye if we’re open to what’s around. I have spent these past weeks immersed in magic (whatever that should mean). It is a process of trying to understand, or to see. What this is, what we’re in, could be impossible to describe; though what we cannot always see to say, as such, we can feel. Words pile up on words: in the reading, in the notes, in observations of play. There are only so many words a brain can hold though. In the unfinished ending that this continuing process is, what it can only come down to, I suppose, is ‘connect’. I need words to try to explain the insufficiency of words . . .
‘Magic’ is a word that’s bandied around without care. This is not a post about the common or garden (or even skilled) stage illusionist or street performer: this post encompasses much other. In trying to explain what words are so far from really being able to do, I’m re-realising about the other ways we could use words. In order to be able to subvert a form, we must first understand the structures of that form. Now, and only now, can we do such as leave out words, a forming of gaps to fall into; subtly twist syntax; mix and merge the language we’ve grown up all our lives with. New meanings start to emerge between. It is rare: only those who get this get this. Magic is of the in-between. Out there, in the world, in there, out of the world, is a depth level of magic to connect to, with, within. Last week, as the long shadows of a late September afternoon began to spread over the playground, the sun shining in, the children laughing and running in complexities of chase-tap, I caught the slightest, lightest look from one girl, who smiled and tilted her head as if to say, ‘Yes, I get you, your actions, everything of your right here and now-ness.’ Of course, I’ll never know what she actually thought, there, then, because she probably doesn’t know herself, now, but . . . here is the difficulty of words . . . what is was, was what it was. Or, what it was, was what it was. You decide. That moment was of magic (noun), a magic moment (adjective), a performance of magic consciousness shift in me (verb). When we connect, there is no sleight of hand. Everything of everything is open. I think I’ve always believed that many children can read the open words of adults, who necessarily roam their dedicated places for play and, by extension, those of those adults out there in the fence-less streets too. I say it this way because I haven’t felt otherwise, though my ways of seeing and feeling have become more refined. Children can read us, and we can connect with this reading. I called this ‘play connectivity’, some while ago, but really, what the words are aren’t what connectivity is. Many of us have had these sorts of interactions, despite their unusualness. To be fair, some teachers may get them too. What’s underneath, or within, or slightly hidden from and in it all, beneath/within the honesty, the openness, the privilege, is the magic field. This is the place where time and times converge, where there is ‘connectivity’, or the possibility of it, if we can see and feel where we are. We may feel unconnected with our day-to-days of day-to-days: we all do; it happens. Yet: becoming/being open to the possibility of all that might be in the world is a start. Earlier, at the time of writing, after being occupied in what I perceive as the unmagic veneer I sometimes gloss along, I took a walk and there, in the late afternoon early evening haze was all that I’d not connected to, that earlier, at and in the screen. I write in notebooks to feel the page at my fingers; I walk to feel the page of the world. The playground is an abundance of pages. None of them can be written, truly. Being there, being on the playground, is a unique experience, no matter how many times we do it. Each uniqueness is impossible to capture, really. We represent what we see with stories, but what we tell is not what it is, in the moment. The pages are in us, but we must learn to read. Reading is a magic gift, a gift of magic. If seeing is believing, believing is only possible by immersion in the moment. There, last week too (this being just a representation of a moment), I read a moment as a magic one: I met two three-year-olds, for the first time, who were unsure of me, but later, soon, after spending honest time with them, I met them again and they were as ready to tell me life stories if they wanted to. It is privilege, this ‘gettingness’, this ‘being seen’. The art is in the knowing, in the appreciating: reading is a magic gift. What we may appreciate are levels other than the usual veneer or sheen. Sure, children can trust and love, even or especially, us who aren’t family, but what we might see beneath, behind, within this, they do too, and neither we nor they have words for this. Words are insufficient here. We have to be in it all: moment, magic field, there not here. This week I have been acutely aware, in appreciation, of being in these children’s territory. That is, not only the place/space of the fenced-in playground but the streets around: there, that is theirs not mine. I come home, a long way home, by train, and this is my hometown. There, everything of their childhoods forms: layers upon layers of times. I feel like I should walk carefully through it. It is an appreciation of other depths, I think. Immersed in magic, in a magic field, depth arrangement, it’s perhaps impossible to think in other ways. Words are insufficient, inadequate: after all, how exactly can we describe the way the sun shines in? We can only represent, use language in devious ways, tell our stories and hope someone, somewhere, connects. Back in August 2013 I wrote a post and called it ‘A theory of the real (part one of some)’. Coming off the back of a summer of direct playwork practice, matters of ‘walking the walk’ as well as ‘talking the talk’ were very much at the forefront of my mind. I’ve just come out of another intense period of open access playwork over Easter and I find that the ‘theory of the real’ is again percolating through. This time, however, it seems that a slightly different angle is trying to nudge itself into my conscious thinking. When truly observing play, when deeply engaged in the unfolding actions and in the possible formation of verbal legendary narratives, it becomes clearer to me that something other than dry ‘on paper’ play is taking place. Something ‘very other’ takes place, in fact. This ‘theory of the real’ is fraught with difficulties: not least of these is the potential for those who ‘buy in’ to the idea of ‘doing it for real’ having a total disregard for all that’s been researched and written. There is the potential for some who work in the sector to disregard the literature purely out of laziness or to conceal their apathy at reading. All of this still registers as ‘true’ to me (or ‘true’ from my particular perspective); however, my reflection on my own recent practice and my observations of my colleagues’ practice directs me towards looking at the work of the team rather than just any given individual — how a good, effective blend of skills/knowledge is essential. My reading of the playwork literature isn’t that the books suggest that every playworker must be whatever that book in question says they should be, though it could be read that way I suppose; it is, rather, that in the reality of the playground (rarefied space, magic fabric), that good team blendedness is difficult to grasp in between pages. Something other than dry ‘on paper’ playwork takes place, in reality; though something of the book pages is also needed in the mix of the team and its work too. This isn’t a contradiction of what I wrote previously in part one of this occasional series; on the contrary, it compliments the sentiments of that second quoted paragraph, I feel — we must first understand the playwork pages in order to see if they crackle with dryness or with the flickerings of possibility. Total disregard of the literature, out of laziness or apathy, is a little like saying let’s make it all up as we go along because we can. Once, I made it all up as I went along and I had a great time. That’s just it though: it was me to have a great time and I don’t know about anyone else. Why are we there, on the playground, if not for the children? (As an aside, as I was opening up one morning this week, one of the children on the other side of the gate started questioning me: ‘Do you get paid to work here? How much? Why do you work here? Do you like it?’ To which I answered, respectively: ‘Yes; I’m not telling you; because it’s what I do; absolutely’). Once, I made it all up as I went along, but then I started realising more about my affect on the children I worked with. Perhaps the technical playworker knows what’s what from the books, can observe minutely and at length, can tell their play types apart and why, but has a one-knot repertoire which they use on temporary tarpaulin rain shelters, or when fixing rope swings to branches, much to the vexation of their ‘more than one knot’ repertoired colleagues! I’m a one-knot playworker, I admit! The technical playworker aspect of me isn’t so cut and dried though. I also know that ‘relating’ is essential on the playground. Those children who want to relate to this adult in their space will find someone who knows that the child with the smiling eyes bouncing up and down at the start of the day is smiling because she really is happy to see him today, and he’ll respond to this because it’s needed; or, the child who offers this playworker just something that they’ve made (a concoction of felt and glue and glitter and feathers), in lieu of perfect English, because the playworker has made time for them for their play to happen, perhaps, should be thanked and have their offering taken seriously. The offering was made that way after all. I haven’t come across such things in the playwork literature yet. When I see such relating taking place between my colleagues and children, I find myself just stopping to see from a distance. I watched for several minutes, one day this week, stood in the middle of the playground with it all flowing around me as, in the middle distance, up on the hill, I could see a small group of children gathered around a colleague who seemed to be engaged in some sort of play involving self-defence! One of the children, a spiky, funny character by and large, did all the moves (and I couldn’t hear any of the words) and she finished it off with a flourish at my colleague, along the lines of — in the interpretation — ‘Yeah, OK, whatever, girlfriend.’ You know? She seemed to be totally focused on my colleague’s relating to her. So we have the technical and the relating playworker (the theory of the real thinking hasn’t suggested a better title for the latter yet), but these two personas can come wrapped in the same person. The blend is in the individual but also in the collection of individuals in the team. What I lack in my knots repertoire or in my ability to knock up anything quickly with a few lengths of wood and a power drill, I fill with other skills. 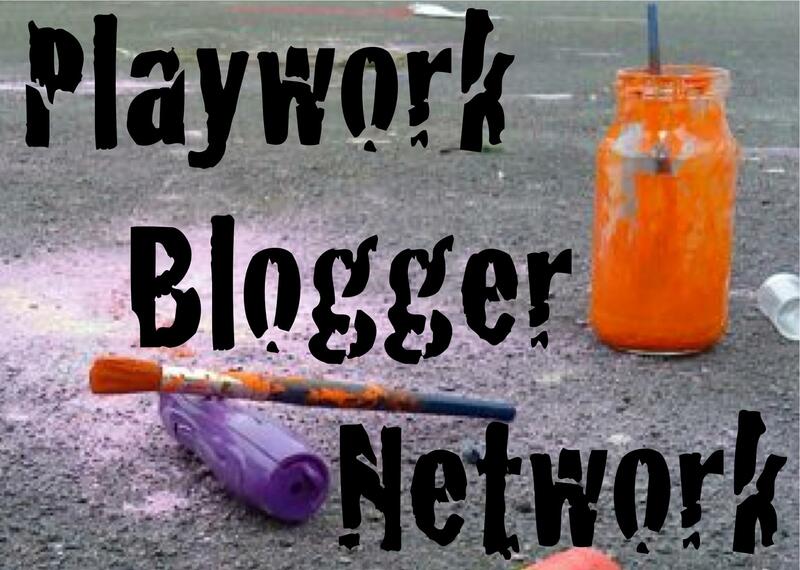 Every playwork team, perhaps, needs creatives and builders, relaters and observers, the go-to soft policer, the scavenger or blagger, the overseer, the consultees or sounding boards for ideas, the makers of decisions, those who mix paint, and those who instinctively know a hundred and three variations of messy play that could happen, and so on. Also, importantly, every team needs a good blend of men and women. What happens when too many men get together in one play place without female balancing is the potential for gorilla (not ‘guerrilla’) action; what happens when too many women get together in one play place without male balancing is the potential for mumsiness. (Both are stereotypes, but both I’ve seen happening in various places). So, this theory of the real in playwork, as it stands, is a blended affair: read but don’t be a robot to it all; question the books and theories, but only when those books and theories are understood; be as many things as one person can be, but know that being all things is probably impossible; accepting our own strengths and limitations also, perhaps, feeds into seeing the strengths in colleagues; we can compliment our colleagues and vice versa; this team needs many skills to function . . . Within it, there is the appreciation of what a happy bundle of smiling eyes is, and there is a useful knowledge of a range of different knots; there is the ability to defuse an argument between pre-pubescent teenagers, enraged at unfair pool table etiquette, and there is the ability to mix the exact right shades of paint that will inspire for that day; there is the calming influence of the overseeing observer, and there is the artful scavenger with another car full of things nobody else can see the play value in. Playwork is many-faceted in the theory of the real, and it would be a static affair if we were all the same, robotically reproducing the same actions, reactions, interactions.